Beacon Interfaith Housing Collaborative consists of 80+ congregations committed to ending homelessness through housing, the Families Moving Forward shelter program, and public advocacy. Beacon houses 775 residents progressing with their lives, no longer worried about finding a home. 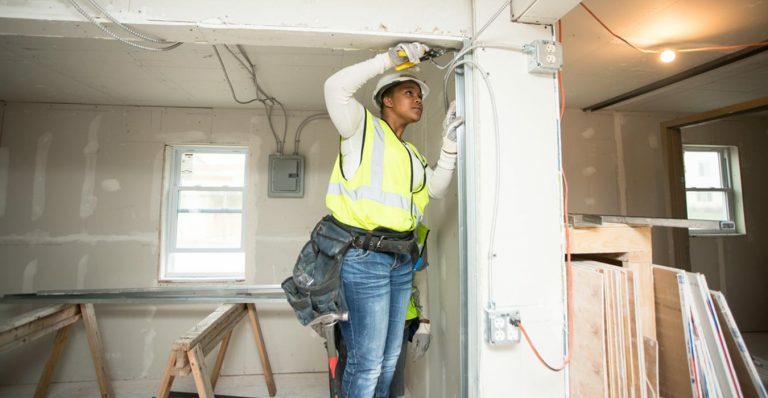 Within McKnight’s efforts to promote affordable housing and systems that increase family stability, Beacon receives general operating support for their work to provide homes for all. Sydney came to Beacon in some ways as a typical teenager. She just graduated from high school. She was saving up to buy a car, and looking forward to the new season of “Orange Is the New Black.” In other ways, Sydney is anything but typical. She has been on her own for about two years, having left her home due to family instability. She’s stayed at two youth shelter programs, the last one for 11 months while waiting to get into Nicollet Square, an apartment complex with supportive services designed for youth ages 16-21 that have experienced homelessness or are exiting the foster care system. Signing a lease and paying rent is a big step for Sydney. “I actually like it a lot. It makes you think what life would be like if you had your own apartment,” she said. Sydney quickly got an internship at Butter Bakery Café, then was hired permanently as a barista and cashier. She also works as a Walmart cashier. Her expenses include rent ($205 a month for the first year), her phone, and a bus card. She has canceled her Hulu and Netflix subscriptions to cut expenses and is proud that she pays rent ahead of the due date. Her short-term goal is to save for a car. Yet Sydney is also focused on her long-term goal to become a nurse. “I want to be an R.N. I’m going to be an R.N.,” she quickly corrects herself. Most of all, she has a vision for her life that does not include living from paycheck to paycheck, struggling to get by as so many people she knows are doing. “I want something bigger and better,” she says. Thanks to Nicollet Square she has found a place to learn and grow.